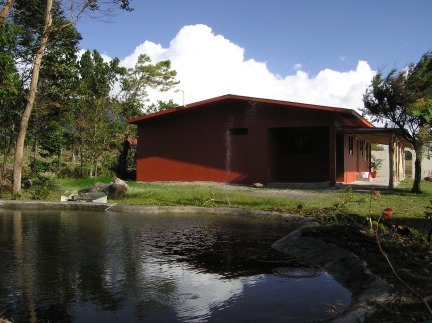 This recently renovated rancher style home in Volcan, Panama provides excellent accomodation for the retiree. 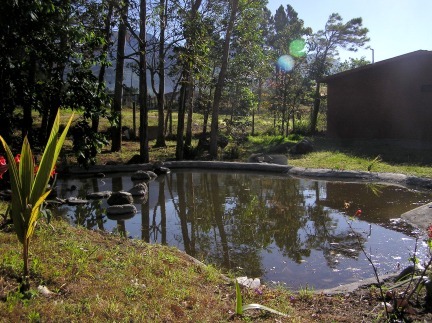 From the Garden pond you have a clear view to Panama's highest peak, the 11,400 foot Baru Volcano. 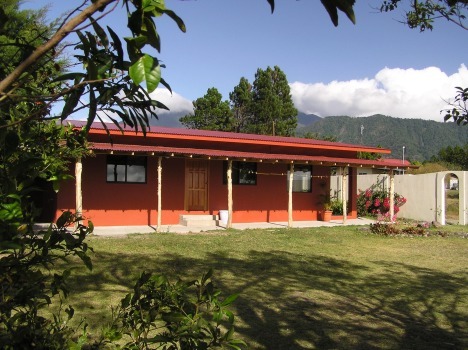 This home has been extensively renovated with new, roofing, plumbing, electrical and floor tiles. The home is ready for your furniture and for your decorating touches. 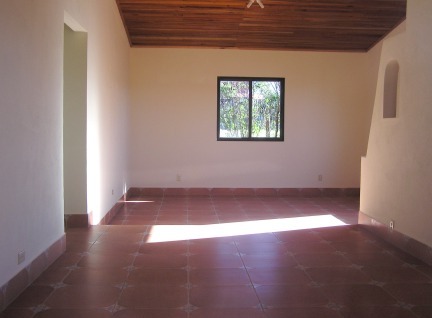 The living room,and the entire house have been tiled with warm colored imported, adobe style ceramics. 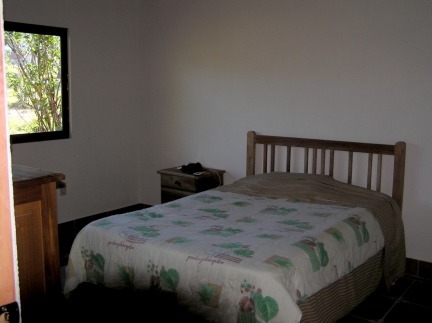 The home is 1650 square feet under roof, with spacious outdoor covered patio that uses Senora style wood post as supports. This is a perfect spot to watch the sunsets and to sit and sip on a relaxing beverage. 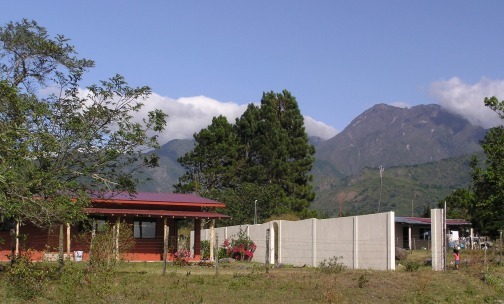 The home is located conveniently within five minutes drive of downtown Volcan, which offers 4 supermarkets, 4 hardware stores, 3 banks and 3 gas stations. Volcan is proud to say that it has 40 places to eat. Including Mexican, Thai, Chinese, Italian and international. 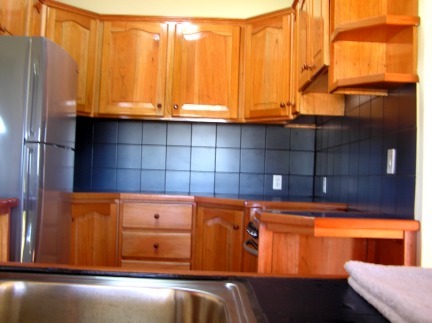 The rancher comes with a nicely appointed kitchen with all new cabinets, stove, fridge and sink. The kitchen window provides the otherwise unhappy dishwasher with some stunning Volcan sunsets to cheer up even the most basic of chores. 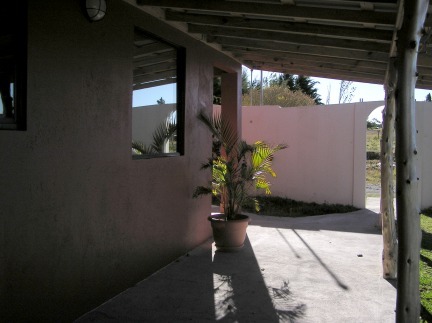 The home features 3 bedrooms with 2 full baths and a special security feature for computers etc. In the garden is an unfinished guest house that could be inexpensively finished to provide additional guest accomodation. Owner has told us that he wants a quick sale and will pay all associated costs.